LETTER | Is the middle finger that threatening to the nation as compared to racial rhetoric and religious scourge? 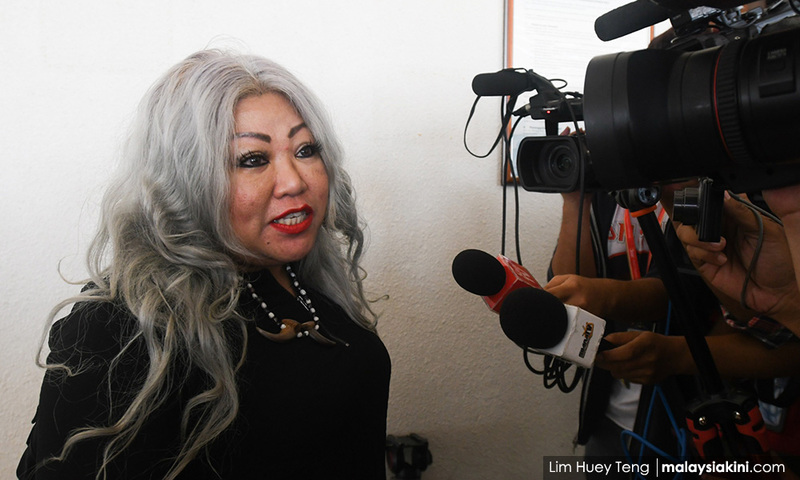 It is befuddling to a discerning mind why Siti Kasim is being targeted by the police over a matter that occurred two-and-a-half years ago! It is baffling that the police should be embroiled in a frivolous matter when many urgent matters deserve their attention. So many politicians from PAS and Umno have made inflammatory speeches and outrageous statements that posed a real and genuine threat to our national peace and harmony. Calling on Muslims to vote only for a Muslim candidate, and lying about DAP wanting to Christianise Malaysia are issues that are crying out for police action to preserve our unity. Sadly, nothing seems to have taken place despite the fact that their utterances had the potential to inflame emotions and cause havoc in the country. The social activist reacted – as anyone would have – when she was jeered and heckled for speaking against the enforcement of Syariah laws at a forum on Sept 5, 2016. Siti, a lawyer, was entitled to her views and she had the freedom guaranteed by the Federal Constitution to express herself. But there were intolerant and ignorant participants with a herd mentality who provoked her unnecessarily and irrationally. Did her reaction to her tormentors in any way disturb the peace and harmony of the nation? The Selangor CID chief, Fadzil Ahmat, who stands accused of wanting to put Siti behind bars, claimed that the police had to put on hold this case because of GE14. The election ended on May 9, 2018 and now nine months after GE14, Fadzil wants to act against Siti. What prevented him from acting earlier soon after GE14? We are entitled to an honest response from him. It is more than 10 months since the AGC had instructed him to act against Siti in April 2018; can he justify this delay? Does the delay constitute a dereliction of duty? Before the Pakatan Harapan government took over the running of Malaysia, many silly things had taken place defying logic, challenging reason and questioning the rule of law. If Fadzil had received the go-ahead from the former AG, it may not hold water in the present situation. The former AG’s conduct and decisions were extremely questionable. Many wondered aloud whether the former AG was acting in the interest of justice or acting to safeguard the interest of Najib Abdul Razak and the BN. Perhaps, Fadzil should get fresh instruction from the present AG. Thinking and caring Malaysians would want the AGC to drop these frivolous and puerile charges against Siti. It is such a waste of time and cost to go after a social activist who dared to stand her ground and speak up without being influenced by race and religion. We sorely need people like Siti who can speak up for ALL Malaysians without fear or favour. Siti deserves the support of Malaysians who care for this nation. P RAMAKRISHNAN is the former president of Aliran.